Cycling is becoming increasingly popular, both as a recreational activity and as an environmentally-friendly mode of transportation. The City of Saskatoon recognizes that cycling is important to many residents and is working towards making Saskatoon a bicycle-friendly city. Following more than three years of technical work and public engagement, Saskatoon City Council will receive reports with recommendations on possible routes for Bus Rapid Transit (BRT) and the Downtown Active Transportation (AT) Network. Report information for the Downtown AT Network is available here. The official Agenda for the April 29th City Council meeting will be available April 24th at 4:00 p.m. here. As part of the Growth Plan to Half a Million, the City of Saskatoon has developed an Active Transportation Plan – a first for our community! Through the Active Transportation Plan (ATP) residents will have improved options for moving around our city, whether it’s by walking, by biking, skateboarding or other forms of active transportation. The ATP will help shape changes in infrastructure and support programs that will encourage all of us to use active forms of transportation more often – whether for work, pleasure or day-to-day personal travels. The City of Saskatoon is exploring potential policies and programs that focus on developing a city-wide active transportation network that is safe, comfortable and attractive for people of all ages and abilities. Given its unique users and functions, the Downtown requires focused consideration for the development of its active transportation network. When the Downtown Protected Bike Lane Demonstration (23rd Street and 4th Avenue) wrapped up in November 2017, Council directed the Administration to report back on what a complete and connected downtown ‘AAA’ cycling network would look like in Saskatoon. Consider the impacts to all users in the Downtown to ensure that the most appropriate streets host AT facilities. Planning for the Downtown AT Network is underway. Thank you to those who were able to attend the Downtown AAA Cycling Network Stakeholder Events on Jan. 30, 2018! Click here to view the materials presented. Comments or questions can be sent to the project team by emailing cycling@saskatoon.ca. Thank you to those were able to attend our second stakeholder event on March 1 and our Community Open House on March 7. Click here to view the materials presented. Comments or questions can be sent to the project team by emailing cycling@saskatoon.ca. A number of reports, including the recommended network plan for the Downtown AAA Cycling Network, was presented to City Council for information at a Special Governance and Priorities Committee on June 20, 2018. The Committee requested the Administration report back on a number of items, outlined in the Agenda Minutes. A copy of the report can be found here. The Administration will report back later in 2018. A report was presented to City Council for information at the Governance and Priorities Committee on October 15, 2018. This report addressed a number of the items requested at the June 20, 2018 Governance and Priorities Committee. A copy of the report can be found here. Comments or questions can be sent to the project team by emailing cycling@saskatoon.ca. The Administration is currently compiling the results of the engagement events from November as well as finalizing the technical report for the Downtown All Ages and Abilities Cycling Network Study. A number of network options have been evaluated in the both the Downtown area and Nutana for the BRT, and Downtown for the AT Network. The City Administration has considered the implications for each of the options and has made its recommendations. While there are recommended and preferred options based on the technical criteria for each system (BRT and AT), it must be stressed any of the routing options evaluated will work and are supported by the Administration. Click here for report information on the Downtown AT Network. Click here for report information on the BRT system. As part of Saskatoon’s Strategic Plan, the Growth Plan to Half a Million has identified the need for active transportation in Saskatoon. Guided by community input, targets for active transportation have been developed, along with key directions and action items to improve active transportation facilities, policies and standards, support programs, education and awareness. Furthermore, there is a need to enhance education and awareness to support and promote active transportation, especially cycling. To do this, the City is undertaking a comprehensive Education & Awareness Campaign in 2019. The goal of this campaign is to make traveling on Saskatoon streets safer and more comfortable for all road users by clarifying the roles and responsibilities and encouraging safe traveling behaviours and interactions between cyclists, motorists, and pedestrians. This April, the City will be talking to local stakeholders and residents to identify key messaging and methods for an education campaign that will resonate most widely with Saskatoon residents. These conversations will help us develop collective take-aways to identify a local consensus on key messaging needs, priorities, and target demographics for the active transportation education campaign. A number of pop-up engagements are planned for April 15, 16, and 17. Pop by one to tell us what you think! You can also view the engagement boards here. Comments and questions can also be submitted to cycling@saskatoon.ca. That the report of the A/General Manager, Transportation & Utilities Department dated November 6, 2017 be forwarded to the Traffic Safety Committee for information. Additional details are contained within the full report. A Protected Bike Lane is a dedicated, marked lane for people on bikes that is physically separated from vehicles and pedestrian traffic by parked vehicles, a painted buffer and delineator posts. Permanent Protected Bike Lanes have been built in Canada’s largest cities including Toronto, Montreal, Vancouver, Ottawa and Calgary. Demonstration projects are currently underway in Edmonton and Winnipeg, and now in Saskatoon. Watch this short video on how Protected Bike Lanes work in Saskatoon. In March 2015, City Council approved a recommendation to proceed with a Protected Bike Lane Demonstration Project in the downtown. The goal of the project is to create a vibrant and healthy downtown by improving cycling as a strategy to increase the attractiveness of and access to the downtown for businesses, residents, visitors, employers and their employees. The lane runs between Idylwyld Drive and Spadina Crescent East in both directions. This route was chosen because of its capacity to accommodate the lane with little disruption to Saskatoon Transit buses and parking. The lane also brings people who bike directly to the centre of downtown and connects with other popular cycling routes. The lane runs between 20th Street East and 24th Street East in both directions, and connects to the Broadway Bridge. This route was chosen because it connects to the Broadway Bridge and existing conventional bike lanes. 4th Avenue has been reconfigured with a bidirectional (two-way) left-turn lane and one lane of traffic in each direction for the duration of the project. With this reconfiguration, the centre turning lane is used to make left turns only from either direction – it may not be used as a passing lane or as a driving lane. The lane also allows for left turns to and from a driveway. This type of lane is not new to Saskatoon – a bidirectional left-turn lane is currently in place on 1st Avenue from 20th Street to 25th Street. These signs designate a portion of the street as a Protected Bike Lane. People walking should look for oncoming bicycles when crossing the lane. People driving are not permitted to travel or stop in this lane unless making a right turn on to a cross street or into a driveway. 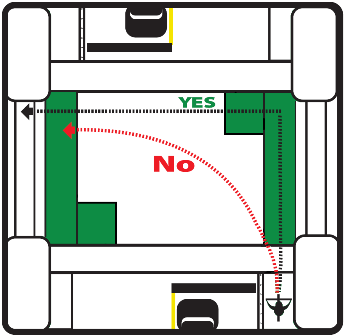 Transit buses may stop at designated stops. These signs remind people biking and people driving cars that the Protected Bike Lane ends. Drivers should watch for bicycles transitioning out of the Protected Bike Lane and into the traffic lane. 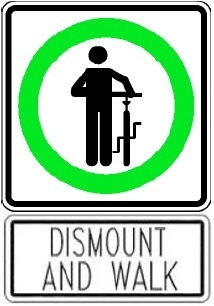 These signs remind people biking that they are to dismount and walk their bikes through the Saskatoon Transit terminal on 23rd Street (between 2nd and 3rd Avenues), just like they do today. 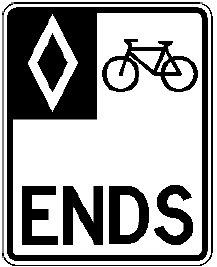 These signs reinforce that people on bikes have the right-of-way through the intersection and turning vehicles must yield. 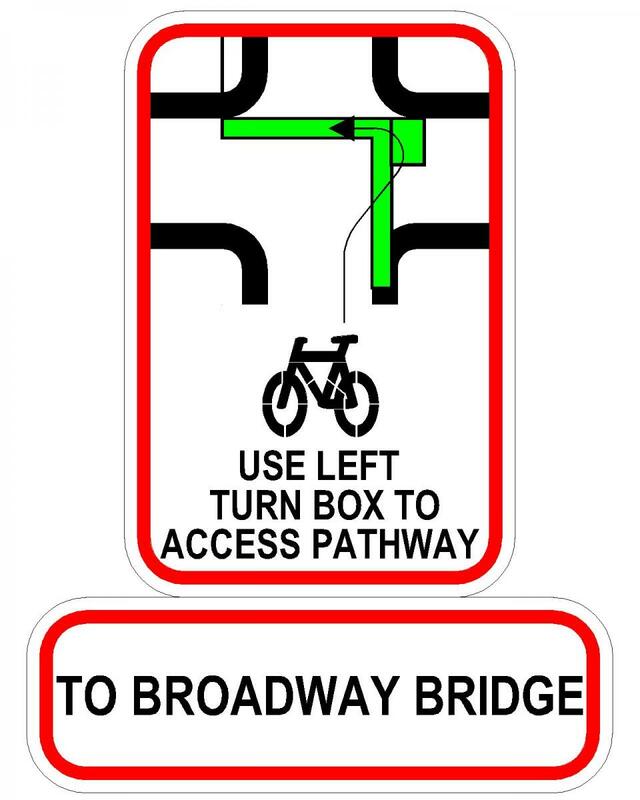 This sign reminds people riding bikes to use the left turn bike box to access the shared pathway to the Broadway Bridge. 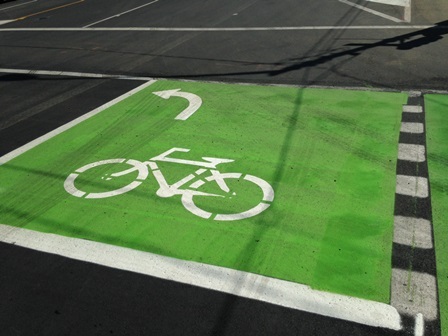 Bike Boxes are green painted areas on the pavement provided at all signalized intersections along 23rd Street between Idylwyld Drive and Spadina Crescent East and along 4th Avenue between 20th Street and 24th Street. They are placed to facilitate two-stage left turns for people riding bikes. People riding bikes will be expected to first proceed straight through the intersection and wait in the designated left-turn Bike Box for the green signal on the cross street to complete their left turn. Impact on traffic flow in the downtown. Why are Protected Bike Lanes important for the downtown? The City of Saskatoon Strategic Plan and the City Centre Plan have identified the need to improve cycling as a strategy to increase the attractiveness of and access to the downtown for businesses, residents, visitors, employers and their employees. A vibrant and healthy downtown benefits the entire city and region. The Protected Bike Lane Demonstration Project has been planned to achieve this goal. Why is it a Demonstration Project? Downtown is a complex neighbourhood and getting the balance right between traffic, pedestrian, transit and cyclist circulation; parking location and availability; and business success is a part of that complexity. While there is confidence from the experience of other cities that Protected Bike Lanes can be beneficial to the overall success of urban areas, each project is unique and must balance the overall needs of the street and area. Rather than committing to permanent infrastructure at the start, many communities have chosen to ‘demonstrate’ Protected Bike Lanes to get the details right. Why was the 4th Avenue lane selected to open in 2016? The University Bridge was closed to traffic for repairs during the summer of 2015 which impacted traffic on 4th Avenue. It was not possible to properly evaluate the project with abnormal traffic conditions caused by the closure. Will the Demonstration Project impact parking and traffic flow? Overall, less than 10 parking spaces will be lost as a result of this project. No traffic delays should occur on 23rd Street. On 4th Avenue, there could be a slight traffic delay at the intersection of 4th Avenue and 20th Street during the morning peak hour. An additional delay of 6 seconds per vehicle is expected with the proposed configuration. The increase in travel time should be small (20 seconds for the average trip). 4th Avenue will be reconfigured with a bidirectional (two-way) left-turn lane and one lane of traffic in each direction for the duration of the project. Although the amount of road space devoted to motor vehicles is reduced, the assignment of left-turn lanes increases traffic predictability throughout the corridor. The design process carefully considered detailed traffic analysis using current vehicle and pedestrian volumes for the weekday morning and afternoon rush hours. Traffic will be monitored during the demonstration project to understand the effect of the Protected Bike Lanes. Based on feedback obtained from stakeholders and the public by spring 2017, some improvements have been made to the bike lanes for the final summer of the demonstration. The following information outlines what the City heard, and what has been changed to address the concerns. CONCERN: Although most people are now familiar with how to park next to the protected bike lanes, those encountering the bike lanes for the first time may require additional instruction. CHANGE: Additional signs have been installed on bike lane delineator poles, which have been effective in marking “No Parking” areas. CONCERN: Signs reminding drivers making right-turns to yield to people riding in the bike lanes are hard for drivers to see. CHANGE: The signs were originally placed on the curb on the sidewalk. To improve visibility of these signs for drivers on 4th Avenue, these signs were moved in the buffer between the bike lane and the driving lane. These changes were not made to 23rd Street because transit bus stops near the corner do not allow for this adjustment. CONCERN: After installation, the driving lane lines at some intersections on 4th Avenue did not line up perfectly. CHANGE: The driving lane widths were adjusted to improve the traffic lane transitions. CONCERN: Right turning drivers have found it difficult to see people on bikes approaching intersections, especially if there are several parked cars. CHANGE: To improve visibility, the bike lanes on 4th Avenue have been reconfigured. A “bend-in” design at the intersection moves the people on bikes in line with the traffic lanes and provides better sight-lines for all users. The “bend-in” design was not applied to 23rd Street as the current conditions of the street facilitate visibility at intersections. CONCERN: Drivers and people on bikes had safety and visibility concerns at driveways. CHANGE: The painted buffers at driveways were changed from a 20 degree angle to a 90 degree angle to promote a slower turn and improve visibility. This change encourages drivers to approach the driving lane at a right angle, improving sight lines and reducing right turn speeds. CONCERN: This restriction was put in place on cross-streets to prevent drivers from entering the bike boxes where people on bikes may be waiting. Drivers found this restriction unnecessarily increased delay, especially when the bike box was unoccupied. CHANGE: The restriction was removed. Drivers are now permitted to turn right at a red light. A “Turning Vehicles Yield to Bikes” sign has been put up instead. 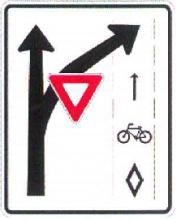 This sign still requires drivers turning right at a red light to yield to people on bikes in the bike box. 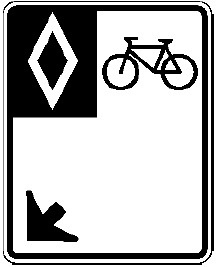 If there are no people on bikes present, drivers may proceed with their right turn. If the bike lanes become permanent, additional improvements may be made. The following information outlines what the City heard prior to spring 2017 and what could be considered for future improvements. CONCERN: The two-way left-turn lane on 4th Ave was causing confusion. People driving were not sure if the lane was available for all purposes (left turns, passing, driving) or designated for specific functions. POTENTIAL CHANGE: Overhead signs can be added to clearly mark the lane designations. CONCERN: Two-stage left turn bike boxes are complicated and inconvenient for both people on bikes and drivers. POTENTIAL CHANGE: One-stage left turns in bike boxes may be considered to reduce delay to people on bikes in the bike boxes. However, these would require people on bikes to move into the traffic stream, thereby reducing safety. CONCERN: The installation of the bike lane prevents people with disabilities from being able to park adjacent to the curb in the protected bike lane locations. POTENTIAL CHANGE: Accessible parking can be provided next to a raised platform that connects to the sidewalk. This would include a highly visible crosswalk with warning signs for people on bikes to slow down. CONCERN: The paint used for the demonstration project wore away quickly. POTENTIAL CHANGE: Durable pavement markings can be used. CONCERN: 4th Avenue – Although the bike lane connects to the shared pathway at the bottom of the Broadway Bridge at the south end, it ends abruptly at 19th and 24th streets. 23rd Street – At the east end, the bike lanes connect to Spadina Crescent’s on-street bike lanes. At the west end, the bike lanes end abruptly at Idylwyld Drive. POTENTIAL CHANGES: Planning for a downtown All Ages and Ability network was identified as a high priority in the Active Transportation Plan. Intersection improvements at 19th Street and 3rd Avenue and 4th Avenue are being developed and will include cycling accommodation. The Imagine Idylwyld project is redesigning the intersection at 23rd Street to provide cycling facilities to connect to the Blairmore Bikeway (23rd Street bike boulevard). Monitoring of traffic flow has shown that travel times increased about 20 seconds for the average trip along 4th Avenue during a peak period. Queuing time for drivers at intersections has not increased beyond an average of 25 seconds per vehicle during the afternoon peak hour. Although the amount of road space devoted to motor vehicles is reduced, the assignment of left-turn lanes increases traffic predictability throughout the corridor. Turning in and out of driveways during the evening rush hour may take longer for drivers to find a gap in traffic. The City’s goal is to have the bike lanes cleared 48 hours after the end of a major snowfall event. The lanes are cleared and treated with sand as needed between snow events. In the downtown, snow removal is timed to allow properties to push their snow onto roadways - parking or bike lane - up to 24 hours after a snow event. The City then removes this snow during clean-up. Most downtown businesses are able to comply. Notices were issued to several businesses this winter who were repeatedly piling snow into the lanes that had already been cleared by the City. The City relies on calls to Public Works Dispatch to identify these locations and proceed with getting them cleared. This is a function of the bike lane placement adjacent to curb as well as pavement condition. Water drains to gutters and catch basins on either side of the street and are the lowest points on the road. Typically, accumulated water and ice is covered by parked vehicles. During the spring thaw, some accumulation is natural although catch basins may become obstructed and need City intervention. Pavement deterioration on 23rd Street has definitely contributed to drainage issues. Resurfacing is planned for 2018 between 4th Avenue and Spadina Crescent. The gutters will naturally accumulate natural debris including grass clipping and leaves. The City is pleased to partner with the Downtown Saskatoon Business Improvement District (DTN YXE) in sweeping the bike lanes in 2017. Poles near bus stops and some corners were being hit repeatedly and were removed. The City relies on notification of damaged poles so that they can be repaired quickly. White “delineator” poles along with a painted buffer were used to physically separate and protect people cycling in the bike lanes. Since this is a demonstration project, this separation treatment was selected as it was the quickest and least expensive. If the protected bike lanes become permanent, different separation options will be considered. Different types of barriers that can be used between the parking and bike lane include: planters, raised concrete curbs and different pole or bollard designs. While protected bike lanes separate people on bikes from motor vehicles, conflict points will remain as people need access to back lanes and parkades in a busy downtown centre. Everyone needs to remain alert. Drivers, people on bikes, pedestrians and transit users are still adjusting to the introduction of the protected bike lanes. Flyers/pamphlets or other communications can be considered to further educate road users. People on bikes are required to dismount and walk their bike across the transit terminal. However, the transit terminal is expected to be relocated in the not too distant future with the implementation of Bus Rapid Transit. 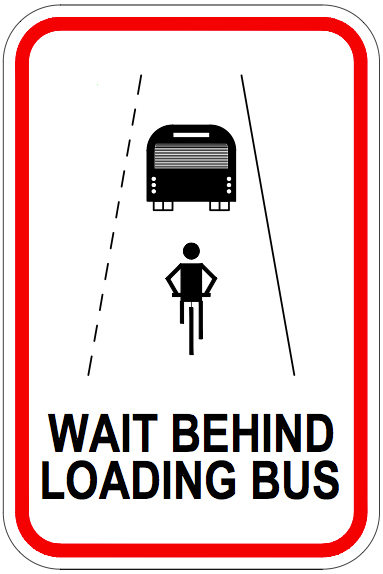 People on bikes are required to wait behind a bus that is stopped in the bike lane to load/unload passengers. Transit platforms could be installed outside the bike lanes so that buses would no longer block the bike lane. It is important that proper work zones are set up when there is construction in the protected bike lane. Guidelines will be developed to ensure proper work zones are barricaded and signed appropriately. The City of Saskatoon is developing a multi-use pathway from the University of Saskatchewan to SIAST Kelsey Campus. The plan includes the construction of a multi-use pathway along the south side of 33rd Street and a roundabout at the intersection of 33rd Street and Spadina Crescent. The multi-use pathway on the south side of 33rd Street between Spadina Crescent and 3rd Avenue was completed in September 2013. Construction of Quebec Avenue to 3rd Avenue/Warman Road is planned to take place and should be completed in 2019. Construction of Ontario Avenue to Quebec Avenue was completed. Construction details for Quebec Avenue to 3rd Avenue/Warman Road are currently being finalized. Old Preston Avenue: Construction could not begin until after seeding of the U of S Crop Sciences research plot because the pathway crosses a key access to the U of S land. Work will be completed this year. 33rd Street: Coordination with Sask Polytechnic has been ongoing. Some service connections on their site had to be modified to accommodate their construction plans. As well, a new program started earlier in August than previous years. We were unable to tender until late in the season. Work began on Old Preston Avenue in September but an early snowfall stopped work. Construction was anticipated in 2015 pending funding. 33rd Street (Capital Project #2447) received $100k while Bicycle Facilities (Capital Project #1137) did not receive any construction funding. As detailed design began, a large underground vault and additional industrial debris were discovered. Remediation became necessary as is often the case when excavating in industrial areas. Thus, project cost and time estimates increased. It was then decided to proceed to construct a smaller portion: Ontario Avenue to Quebec Avenue. Design completed for the connection between Idylwyld Drive and 3rd Avenue/Warman Road. 3rd Avenue/Warman Road to Spadina Crescent constructed. The Active Transportation Plan identified both 19th Street and 20th Street as priorities for expansion of the bicycle network. City Council asked the Administration for an evaluation of All Ages and Abilities (AAA) cycling facilities on either 19th Street or 20th Street between Idylwyld Drive and Avenue H.
An evaluation of cycling facilities on either 19th Street or 20th Street was conducted in 2017. Traffic Analysis of 19th Street indicated that reducing the travel lanes on 19th Street from four lanes to two lanes can adequately accommodate the traffic demands, while having a positive impact on safety by narrowing the roadway and lowering motor vehicle speeds, while also decreasing the distance for pedestrians to cross. Meetings with stakeholders took place during the review process. A public open house was held June 20, 2017 at the Saskatoon Farmer's Market. Presentation materials can be found here. The evaluation recommends a AAA cycling facility be installed on 19th Street. Reducing the number of lanes provides traffic calming, adds on-street parking, and allows for the addition of a dedicated cycling facility. The Administration will prepare a report to City Council recommending the installation of a AAA cycling facility on 19th Street, from Ave A to Ave H.
Endorsed by Council in 2013, the West/Central Multi-Use Corridor is a three kilometre multi-use pathway adjacent to the CP right-of-way extending from Avenue W South to Idylwyld Drive and connecting Saskatoon’s westerly neighbourhoods to the Downtown area. The function of the West-Central Multi-Use Corridor or “Safety Pathway” is to reduce the number of pedestrians walking on or close to the CP Rail line. A multi-use pathway along the rail line would provide a direct connection between Saskatoon’s westerly neighbourhoods and the Downtown. Further, the Pleasant Hill, Riversdale and West Industrial Local Area Plans all included a recommendation requesting that consideration be given to accommodating a multi-use pathway adjacent to the rail line. Phase 1 was constructed between Idylwyld Drive and Avenue D as part of the 25th Street Extension project. On April 26, 2018, the City of Saskatoon received notification that the Safety Pathway project was approved for funding through the The Rail Safety Improvement Program (RSIP). This program is delivered by Transport Canada and funded by the Government of Canada to help improve rail safety, contribute to the reduction of injuries and fatalities, and increase public confidence in Canada's rail transportation system. The next phase extends from Avenue D to Avenue W. Detailed design is currently underway and construction is anticipated to begin Fall 2018. The purpose of the Victoria Avenue Corridor Review was to identify potential transportation improvements along Victoria Avenue, between 8th Street and 11th Street, that could be incorporated into a joint project with water main rehabilitation work and other transportation improvement projects planned for the street. With the recent adoption of both the Active Transportation Plan and the Complete Streets Design and Policy Guide, Victoria Avenue was identified as a great opportunity to incorporate a multi-modal design that considers pedestrians, cyclists, and drivers. City Council endorsed the preferred street design in April 2017 which included the installation of a raised cycle track in each direction along Victoria Avenue. The project was completed in October 2018.